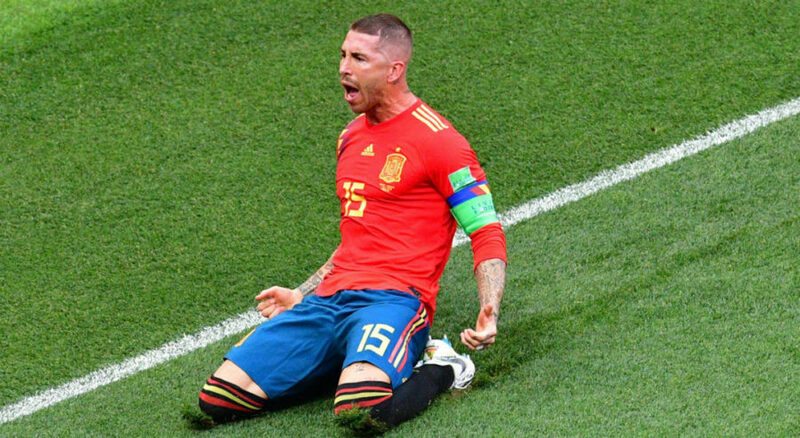 Spain and Russia are locked at 1-1 at halftime in a World Cup round of 16 match at Luzhniki Stadium on Sunday. Spain took the lead when Sergei Ignashevich inadvertently turned home a free-kick into his goal in the 12th minute. The 2010 champions bossed the ball game after that, but had just four touches inside the opposition penalty box and never looked as though they would add to the total. Russia took full advantage by grabbing an equalizer before the interval. The home side won a corner and from that cross, Artyom Dzyuba won the header, despite Gerard Pique also jumping with him. The Spain defender left his arm high in the air and the ball strikes it off the Dzyuba header. Despite the protest, the referee pointed to the spot and Dzyuba took the kick to send David de Gea the wrong way in the 41st minute. In the midst of his protesting, Pique was also booked in the 40th minute.